Storage containers provide extra space for storage and many other functions on job sites of every kind. 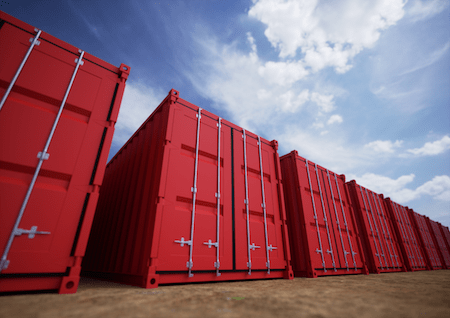 Having a storage container on site offers many benefits, from protecting materials to housing an office, but for many years these containers were used solely for shipping and came in all shapes and sizes. They had no uniformity and could not be stacked or positioned in ways that maximized how much you could ship at a time. Further, no method of transport could easily transfer the goods being delivered. Shipping containers became standardized just over 60 years ago, revolutionizing the speed and cost of shipping goods and paving the way for mobile storage containers. In 1955, Malcolm McLean, with the help of engineer Keith Tantlinger, designed a standardized shipping container in the form of a basic, reusable steel box. McLean, the owner of the largest trucking company in the South and the fifth-largest trucking company in the nation, patented the first modern shipping container in 1956. As part of his experimentation, McLean sold his trucking company, bought a shipping company and an oil tanker, and eventually transported 58 shipping containers from New Jersey to Houston on the tanker. His groundbreaking design paved the way for massive cost reduction in loading cargo and is still in use today. 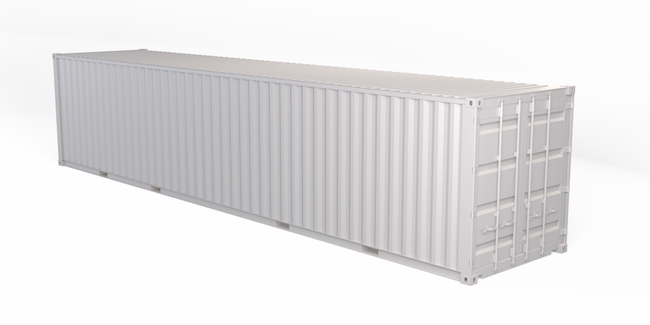 The design of the industrial storage container is largely based on shipping containers, as seen on trains and in shipyards. While McLean's innovations were meant for shipping containers between truck and train and ship, the standardized but versatile containers eventually came to be used for storage, as well. As time passed, companies found more and more uses for these portable units. Stainless steel storage containers are often called shipping containers and moving containers, among other names. 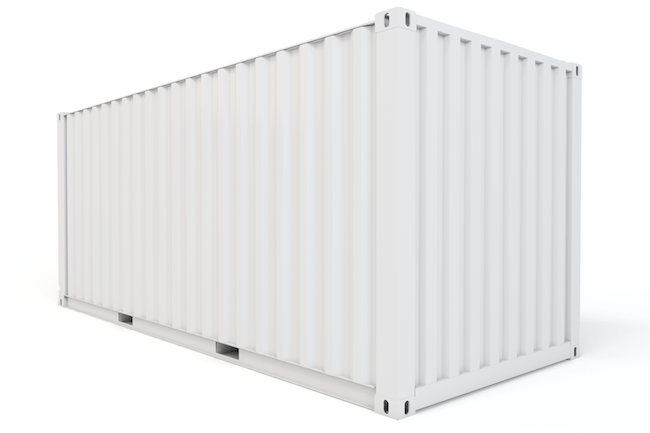 They are used for shipping via truck or ship, as well as for storing materials and as temporary structures. You might have even seen them used as portable classrooms at local schools. Because a company or person's need for storage containers is often short-term, it's common for them to be rented out. Business owners sometimes need a temporary place to store office equipment. Retail store owners might need to store excess merchandise or seasonal items. Contractors might need secure storage or a functional space on job sites. Homeowners even rent these containers to store their belongings when staging their homes to sell or when renovating or decluttering. Locking your storage container rental is crucial in keeping your materials safe from theft. Companies, particularly those in construction, rely on locking storage containers to secure their equipment and supplies. Equipment theft costs the construction industry a billion dollars every year, according to the National Crime Information Bureau. The Bureau estimates that only 20 percent of these stolen items are recovered. If a thief steals your company or client's equipment and tools, you must scramble to get replacement tools, work might be delayed while making arrangements, and your clients might get angry and impatient. Financial losses due to theft or vandalism could have significant adverse effects on both your company and your client. A variety of locking mechanisms are available for storage containers to reduce theft and vandalism problems at job sites. Mobile Mini containers, for example, feature the patented and near-flawless Tri-Cam Locking System. This system can be combined with Mobile Mini's patented ContainerGuard locks. Shipping container lock boxes are much safer than standard padlocks. These sturdy steel boxes keep padlocks hidden and out of reach of bolt cutters. It's nearly impossible to breach these locks, which are inexpensive and simple to install. Heavy-duty padlocks, on the other hand, are the simplest way to secure storage containers, although they are the weakest line of defense. They should not be used to protect expensive equipment or hazardous materials. Similar to deadbolts on residential exterior doors, inner bolts are made of hardened steel. They are used for locking mechanisms on the inside of doors and are almost impossible to remove. Crossbar locks are portable and can be installed in seconds. They prevent the main door handles from turning, so even if someone manages to cut a padlock, they still cannot access the container. In addition to locking mechanisms that can physically secure the mobile storage container itself, you can install an alarm system and perimeter fencing around the job site for even more security. You can also take steps to protect individual pieces of equipment. For example, you can install anti-theft or recovery devices with tracking transmitters on particularly valuable pieces of heavy equipment. Arrange storage containers that house equipment and tools in such a way that the difficult-to-move large pieces of equipment form a circle around smaller equipment. This will make it more challenging for thieves to steal items quickly. Securing your storage containers is extremely important if you'll be storing hazardous materials on a job site. It's the contractor's responsibility to keep these materials out of public reach, and that responsibility includes protecting the items from theft. This protection also reduces your potential of being held liable for damages from hazardous material. If employees must transport containers of hazardous materials to and from a portable storage container, they will need to undergo special training. The Occupational Safety and Health Administration (OSHA) requires training for any worker who might be exposed to hazardous materials. These training courses help make workers aware of potential dangers and how to prevent and handle them. As the contractor, you'll need to be familiar with OSHA requirements for the safe storage of hazardous chemicals. Keeping even low-level chemicals locked away when not in use is good practice on any construction job site. All workers on the site should be trained to recognize hazardous materials. They should also be prepared to respond to a spill situation in a way that protects people and the environment. In addition to securing hazardous materials, a storage container can provide excellent housing for fireproof boxes and cabinets. This will keep these items safe from adverse weather conditions and provide an extra level of protection from the elements as well as from thieves. 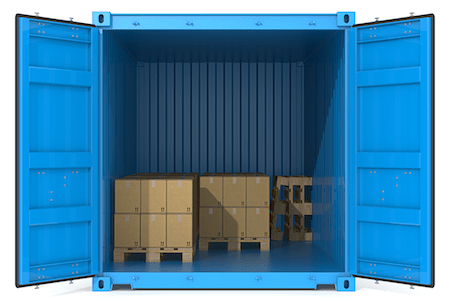 While the name “storage container” indicates the primary funtion, containers can also be used for personnel activities (with proper ventillation). Break areas. On a job site, you and your workers are unlikely to have access to indoor space that allows you to cool off, dry off, or get away from hot or cold temperatures while taking a coffee break or eating lunch. Because you can cool or heat containers for comfort, they can provide workers with a pleasant environment in which to take breaks. This can help them relax and recharge so they can get back to work with renewed energy. Having a place in which to store their lunches also avoids dealing with soggy sandwiches and perishable ingredients in warm weather and frozen lunches in the winter. Office areas. During lengthy projects, the contractor will be on the job site more than in the home office. A shipping container can fulfill the role of a mobile office with everything needed to conduct day-to-day business and oversee the current job. Supervisors on the job site can do paperwork and still be available to workers. A lockable storage container ensures the mobile office is secure and private and that office materials are dry and protected from the elements. Sure, you can cart a plastic tote around with what you need from the home office and make cell phone calls from the relative quiet of your vehicle, but your records will be safer in your portable office. Dry work areas. Some tasks must be completed out of the rain, and some materials kept dry. Paint and building materials should not be exposed to moisture, for example. If weather or other factors cause work delays, it's good to know that your materials are safe and dry in a storage container. First-aid centers. You certainly don't want anyone to get injured on the job site, but mishaps can happen. There are inherent dangers to workers in the construction industry, but because of exemplary industry-wide safety protocols, most injuries are minor. A first-aid center offers a place for workers to rest a sprained ankle or wrist or wash and bandage a cut. For a worker who comes down with an illness or is overheated, a first-aid center is a place of rest. Here, the worker can have a cold or hot drink and relax. Containers keep tools and materials that are not currently in use safely out of the way. Organization. Keeping tools, equipment, and materials in your storage container makes organization easier. Just like at your headquarters, you can designate a place for everything. If you keep an itemized inventory and store items in a storage container, you can easily see when it's time to order new materials. Saving time and money. If you have all the tools, materials, and paperwork you'll need in a secured storage container; you won't have to run back and forth to get materials for different jobs on a site. And you won't have to worry about delegating the responsibility to employees who might end up spending too much time on the road or taking long lunches when they're out picking things up. Everyone's time is best served being on the site rather than driving to get a piece of equipment or grab documents from the home office. Safety for workers. A storage container can provide a dry, mud-free space in which to warm workers in cold weather or cool them in hot weather. In cold temperatures, workers must wear outerwear that constrains movement. Also, cold temperatures compromise workers' limb flexibility, so the opportunity to warm up is important. In hot temperatures, workers might become overheated and dehydrated without access to relief from the heat. While workers often work through excess heat or cold, they shouldn't have to. It's not healthy for them and not beneficial to the company or the project. Make sure, however, that the container's floors remain clear. 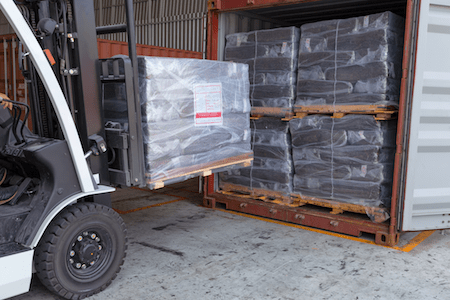 An organized container reduces slip, trip, and fall hazards. Don't leave tools, materials, or cords lying around. Happy workers. Break rooms are vital to employee morale. They give workers a comfortable space in which to take needed breaks, and they provide room for camaraderie among co-workers. Today's younger workers are value-oriented. They will stay in jobs where they felt respected and cared about and where they're being given opportunities to grow. Many companies have culture committees and similar employee organizations to make a job more than just the work done. Providing a break room within a storage container is an appreciated and memorable gesture. Quality care of equipment and tools. In a shop, workers put away their tools after use and keep them out of the elements. If you stored all your tools and equipment on site and locked away in moisture-proof storage containers when not being used, they will be as good as new when the job is over. Furthermore, the grounds of the site will be cleaner and neater if everything is put away when workers go home. As you can see, there are many reasons an on-site storage container can benefit everyone involved. The simplest reason is to contain and protect everything you and your workers need to complete a job. 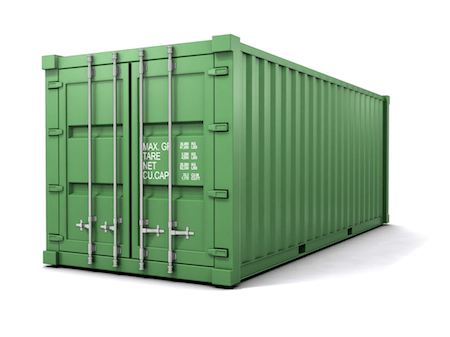 Container rentals come in a variety of sizes, ensuring you have enough space for your storage needs. Container sizes. Storage containers' variety of sizes make them ideal for any number of uses. Larger containers can provide the necessary space to store heavy equipment that you want to keep out of the elements and protect from theft or vandalism. You can use smaller containers for mobile offices, workers' break rooms, and storing smaller equipment and tools. But it's not an either-or. Containers can be modified for different needs. You can split a larger container into two areas, designating one for tool storage and the other as a break room. You can add compact shelving and other organizational materials to any container to organize small parts needed for a job. Single or double door. If you're using a storage container as a break room, you likely only need a single-door unit for people to pass through. It provides enough access for workers, and the smaller door opening prevents drafts in cold weather and loss of cool air in the summer. On the other hand, if you're using a container to store large equipment, you'll want it to come with a double door to accommodate the equipment. The Mobile Mini door system is designed, so you only need one hand to open it. This makes it easy for workers carrying tools or paperwork to operate. 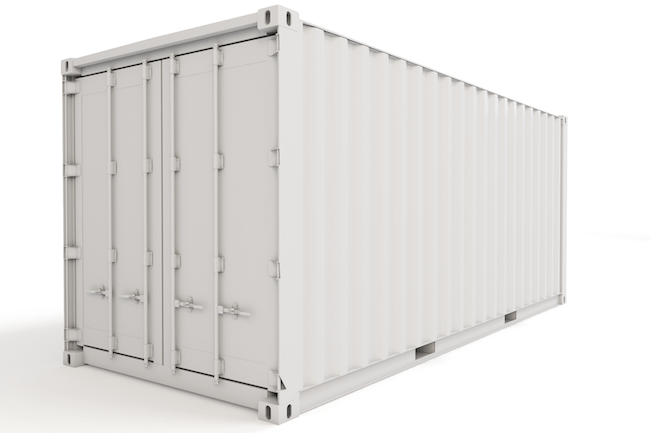 Q: How long can I rent a storage container? A. As long as you like. We ask for an estimate of how long you think you will need the storage container, but you can keep a container as long as you need to. Give us four hours notice for any extensions. Q: Will you deliver the container to the job site? Q: Can I pick up the equipment myself? A. No. For both safety and insurance purposes, our haulers must deliver your container. Q: Do you guarantee time of delivery? A: We are not able to guarantee a time of delivery, due to traffic conditions and other unpredictable circumstances. We do our best, however, to deliver equipment at the arranged-upon time. If the equipment is not delivered within a four-hour window, please call us. If you need the equipment delivered at a specific time, please notify us of this in advance. You might be charged an additional fee for this service. Q: Can I get equipment delivered tomorrow? A: Usually, yes. We can deliver equipment by the next day, as long as we have the equipment and transportation available. Please be aware that early morning deliveries might not be available because those slots fill up quickly. In some cases, we will be able to deliver the same day. We might recruit an outside hauler, if necessary. In this case, normal delivery rates would not apply. 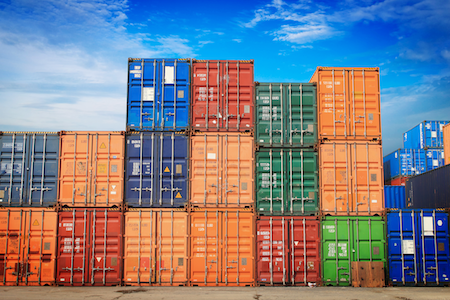 Q: How do I rent a container? A: Call us at (888) 325-5172. Can I make modifications to the container to better suit my needs? A: No. You can put mobile shelving or containers inside the unit, but please do not make any permanent modifications to the container. Q: Am I responsible for damages? A: In most cases, yes. The Damage Waiver might cover incidental damage. For complete details on our rental policies, please refer to the Terms & Conditions outlined in the Rental Agreement. Storage containers on job sites can benefit projects in some ways, from securing equipment to keeping workers comfortable to providing office space. 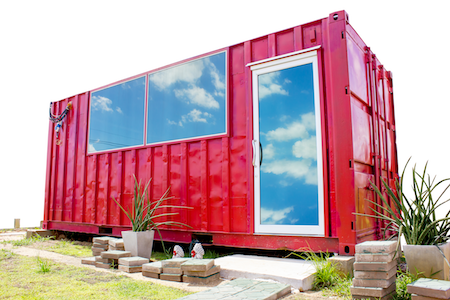 Renting containers means you can choose exactly what you need for your project — no more and no less. BigRentz will deliver storage containers to your job site and set them up. When the rental period is over, BigRentz will pick the containers up. And when it's time for your next big project, you can do it all over again, depending on your needs. Renting storage containers ensures the people on the job site stay on the job site because everything you need is right there. When determining how many and what size storage containers you need to rent, you'll first have to figure out what you need to store and what functions you need to perform. Then you'll need to check out all the different storage container options to choose what's right for you and your company. BigRentz can help you with those decisions and any questions you have and information you need. 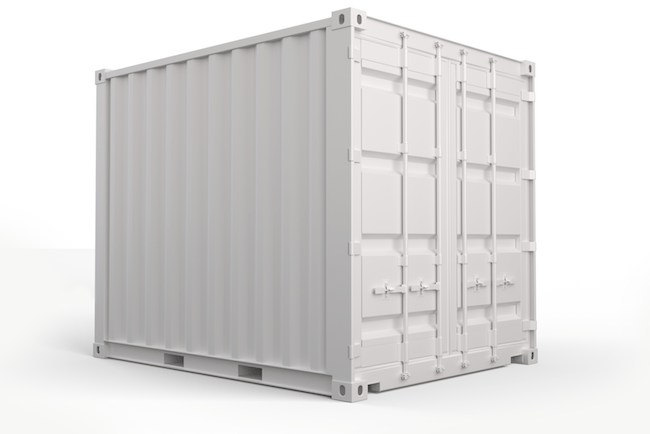 Call (888) 325-5172 to rent a storage container from BigRentz or get more information about our containers.